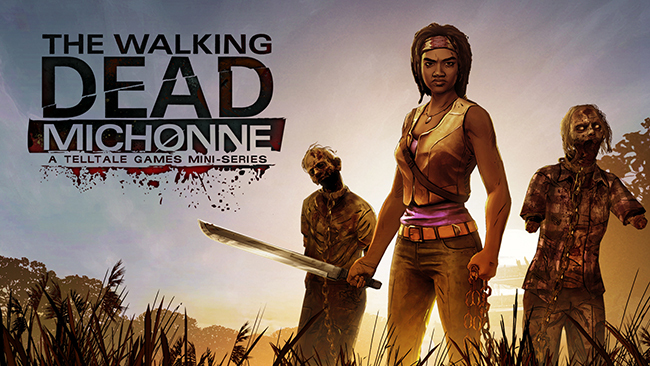 The Walking Dead: Michonne is a third-person episodic adventure game available for download from the PlayStation Store for the PS4 and PS3. Telltale Games have gradually become more popular with every game, stemming from the cult classic Sam and Max seasons to episodic games based upon such well known licensed properties as Jurassic Park, Back to the Future, The Walking Dead, and more. Telltale’s star has risen upon every release which has led to a much anticipated Batman game with certainly a bright future ahead. When The Walking Dead: The Complete First Season originally released in April 2012 on PS3, no one could have predicted the impact it would have had. It went on to win over 90 Game of the Year awards and receive worldwide critical acclaim from the gaming media with the second season further cementing that foundation, but how does the three-part mini-series Michonne shape up in comparison to what has went before it? The Walking Dead: Michonne’s story arc explains the reasons why Michonne is absent between issues 126 and 139 of Robert Kirkman’s comic book series as well as exactly what took her away from her group of close friends including Rick. The story begins with emotional scenes as Michonne is having hallucinations and nightmares about the loved ones she has tragically lost since the outbreak of walkers. Michonne takes what the previous seasons have established and kicks it into an even higher gear with even more open and moral choices that can be the difference in trying to be peaceful or rebellious. Such moral decisions always draw a powerful emotional response from the player. The My Choices feature from previous seasons makes a welcome return by providing an entire listing of your choices including the statistical analysis regarding the percentage of players who have made the same choice as you. The feature is directly available from the main menu and at the end of each episode. Michonne possesses something that was essential to the previous seasons and that is a core cast of characters you become attached to and care for set against the walkers that you will encounter as well as bandits and heroic allies. The fact that you meet not only walkers, but villainous and ruthless humans along your journey to find a new home makes you care even more for the core group of characters, especially Michonne as she continues to wrestle with her demons during her attempts to be equally as heroic by helping those around her survive. Until a Vita version is potentially released, remote play of the PS4 version on Vita is a consolation with the performance during remote play being on par with the graphics, audio and general performance of the PS4 version. The control scheme has been appropriately optimised. Fighting actions have moved from R2 to R when prompted and showing selectables has moved from L2 to L, while the rest of the controls remain exactly the same as the PS4 version, therefore resulting in a remote play experience that will keep players satisfied until a Vita version is hopefully released. The controls are well mapped to the DualShock 4 controller by retaining the improvements from the second season. Pressing X, triangle, square or O to perform actions, start a conversation with a person in your group or to choose a response in a conversation with the buttons being clearly marked towards the bottom of the screen. Pressing R2 runs or performs fight actions when defending yourself; pressing up or down on the d-pad looks at your inventory; mashing certain face buttons such as X, triangle, square or O when in one-on-one encounters with walkers; changing the direction of the left analogue stick to move around cover in a tight situation or walking around as you explore the environment during your search to find people and supplies; changing the direction of the right analogue stick to move the cursor around the environment for you to investigate and observe certain objects and items of importance as well as deciding who to start or continue a conversation with or even positioning your aim when you are about to defend yourself from a walker; pressing the share button takes you to the share feature menu; and pressing the options button to display the pause menu. The PS4 version of previous seasons have lacked any touch pad, light bar and vibration functionality and Michonne also lacks the same features which is quite surprising as it would have provided some further improvements over previous seasons. The lack of touch pad implementation is surprising as the Vita’s touch screen control scheme was pretty much perfected as it saw the cursor being replaced with icons and consisted of tapping on an icon to perform a particular action, interact with an object, start a conversation with a person in your group or to choose a response in a conversation, while dragging your finger around the touch screen would move Clementine around cover or exploring the environment as you search for supplies and people. It is difficult to understand why such functionality could not have made the transition from the Vita to the DualShock 4 controller. The lack of any light bar and vibration implementation is quite surprising as the light bar could have produced an increasingly darker tone of red as a threatening situation looms to work in harmony with the visual effect of the HUD during such occurrences. The DualShock 4 controller could have vibrated during any bumps and scrapes or perhaps even specifically the nightmarish hallucinations that Michonne endures along the way as well as the impact from the usage of any weapons such as her sword or a nearby object here and there to fend off walkers. Graphically, The Walking Dead: Michonne is excellent as the animations of the character models are fluent, while the game possesses a visually striking comic book cel shaded art style that looks just as good as the second season of The Walking Dead and Tales from the Borderlands. The presentation of the game is solid with a great user interface across various menus, although it does not include support for navigation via the right analogue stick and the lack of a touch based user interface via the touch pad is disappointing given the fact of how effective and responsive the touch screen user interface is in The Walking Dead on Vita. The background of the main menu focuses upon Michonne with her sword and two walkers chained behind her, while the settings menu sees Michonne walking through fields with two walkers being pulled along. The audio consists of voice-overs, sound effects and music that collectively work in harmony to build layers of the world, relationships and the unfolding stories that you encounter through each episode. Danai Gurira who brought Michonne to life on the television series has not reprised her role in the game, therefore Michonne is voiced by Samira Wiley who has starred in Orange is the New Black. She delivers a stunning performance that can range from light-hearted dialogue with Pete to action and even emotional scenes when Michonne hallucinates about those who she has lost. Among a large cast of voice-over artists, other noticeable roles that are performed to incredible levels include Malik Yoba voicing Pete who made his debut as Yul Brenner in Cool Runnings, followed by Detective Carson in Cop Land and television series such as New York Undercover and Alphas and Empire. Cissy Jones voices Norma and Vanessa having starred in many Telltale games including such characters as Katjaa in The Walking Dead: Season 1, Shel and Dee in The Walking Dead: 400 Days, Kelsey Brannagan in The Wolf Among Us, and Shel, Guard and Howe’s Intercom in The Walking Dead: Season 2. Jones also voiced Joyce Price in Life is Strange, Doctor Duff and Doctor Patricia in Fallout 4, Delilah in Firewatch, nd more. Further amazing performances include Devery Jacobs voicing Sam, having previously starred in the mini TV series Assassin’s Creed: Lineage as Claudia Auditore and the TV series Mohawk Girls as Lollipop. Derek Phillips voices Randall, having previously voiced Max’s photography teacher Mark Jefferson in Life is Strange, Lord Treavor Pendleton in Dishonored and Officer Scott and Kurt Wehlander in Murdered: Soul Suspect as well as roles in TV series such as Agent O’Brien in Agents of S.H.I.E.L.D., Billy Riggins in Friday Night Lights and Travis Murphy in Longmire. Many more talented voice-over artists providing spectacular performances. The in-game music adds a further layer of tension to scenes in which you will have to defend your group from walkers and bandits or provides more emotion from Michonne’s hallucinations. The opening theme sets the tone perfectly for each episode. Gun in My Hand, written by among others the late great George Martin, is appropriately accompanied by a strong, emotional performance by the American rock band Dorothy. The same can also be said for the emotional song Wolf by the Swedish folk band First Aid Kit with some fantastic instrumental music during the menu screens too. The lack of any DualShock 4 speaker implementation is surprising as it could have produced a further layer of atmosphere from sound effects such as nearby walkers and ambient sounds to conversations or music. The trophy list includes 21 trophies with 21 bronze trophies; however there are no gold trophies or a platinum trophy regardless of whether the game is purchased on any PlayStation platform which is hard to understand as the first season had a platinum trophy and Telltale’s games usually have a platinum trophy. The trophy list for all three episodes of The Walking Dead: Michonne is entirely based upon completing each chapter within each episode; resulting in a somewhat easy trophy list in regards to the fact that you will 100% the trophy list if you are able to complete the story with only a single playthrough required. It is estimated that depending upon skill and a good trophy guide to provide some helpful tips that it would take between 3 to 5 hours to 100% the trophy list. The difficulty curve certainly varies throughout the game as there are some tough one-on-one encounters with walkers for Michonne to not only survive but also fight through, while there are easier areas of the game that require you to scavenge for supplies to maintain energy. Other parts of the game will need you to have conversations with your allies to plan your collective escape from multiple difficult situations in order to attempt to preserve everyone’s survival. The only settings that are customisable in relation to difficulty levels are for the in-game user interface as you can have a standard setting that allows you to have access to more feedback when you make important moral choices and help in regards to highlighting any areas of interest. The minimal setting will completely turn off any hints, help and choice notifications. The user interface is as clear as it was in the second season as the cursor is presented with a colourful and distinctive design and there are icons and colours within the cursor that really differentiate actions from one another rather than mostly being presented in the same way as actions were in the first season which makes for a better experience. As was the case with the previous seasons, you will find yourself being required to participate in some button mashing during one-on-one encounters with walkers, although you will need to press the prompted buttons quickly within a rather limited period of time in order to ensure that you survive the encounter which is an appropriate design choice as it certainly adds more atmosphere and tension to the mix as you are not guaranteed to breeze straight through a one-on-one encounter with a walker. 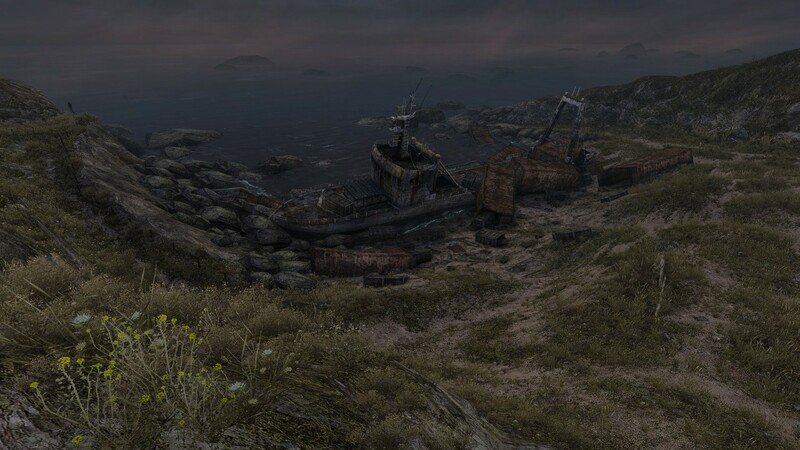 As is the case with previous seasons, there are no online leaderboards and no local or online multiplayer, although local and online co-operative multiplayer may have possibly worked for two players to team up as the two lead characters Michonne and Pete to explore the game together. The lack of local and online multiplayer features do not detract from the experience as you would not anticipate such a component to necessarily feature in a story driven point and click focused game in a genre that is usually solely single player. However, despite there being no online leaderboards, there is a statistical analysis of the decisions that you have made during each episode in comparison to the decisions that everyone else who has played The Walking Dead: Michonne has made. The replayability of The Walking Dead: Michonne stems from the multiple storylines you can shape by playing the game over the course of multiple playthroughs, while experimenting with different combinations of moral choices to see which direction your decisions will ultimately guide the story. Overall, The Walking Dead: Michonne is just as amazing and original with its superb narrative drawing just as much emotion as the previous seasons. Michonne could have simply been a re-tread of the previous seasons albeit with a new lead character due to its popularity and success, but it is very clear to see that Telltale Games have drew from Michonne’s character to take their storytelling in a bold new direction for this mini-series which shows a true understanding of the material they are tackling related to the character of Michonne. For fans of Telltale’s storytelling and The Walking Dead games, television series and comic books; The Walking Dead: Michonne is an emotional journey that comes highly recommended as we all wait with eager anticipation for Telltale to produce the third season of The Walking Dead. Not simply a cash-in title.